It's Friday and National Dessert Day – how do we get so lucky? Check the specials board for this one because it's not on the regular menu! 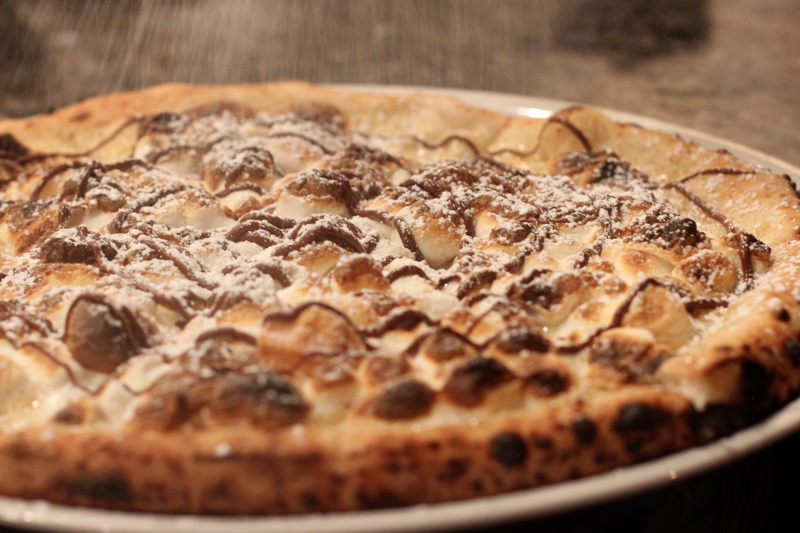 The dessert pie is made on the same crust made from natural flour imported from Italy the restaurant uses for their Neopolitan-style pizzas, only it's covered in vanilla bean mascarpone, cookie butter, Nutella, crushed cookies and powdered sugar. It's a good enough reason to not finish your actual pizza and indulge. Pro tip: There's a simpler version of this called the Edgar (named after one of their cooks) that's just Nutella, vanilla bean mascarpone and melted marshmallows. Let's start by admiring the beauty and hard work that is this dish. The meringue is fluffy and light and a perfect contrast to the tart, creamy pie underneath. The graham cracker crust can't be left behind – it has an almost smoky taste to it that pays honor to the restaurant's namesake meats. Pro tip: Treat yourself and sit at the bar to order the Woodshed margarita, a delectable blend of cedar wood infused tequila, orange bitters and maraschino cherries. The Sticky Bun at Crossroads Diner is all things you want at breakfast, in one gooey, delicious pastry. Think cinnamon roll, but with a generous dose of Texas pecans and caramel instead of traditional white icing. The delicious dough is layered with cinnamon sauce and baked on a bed of brown sugar, butter and mounds of pecans. 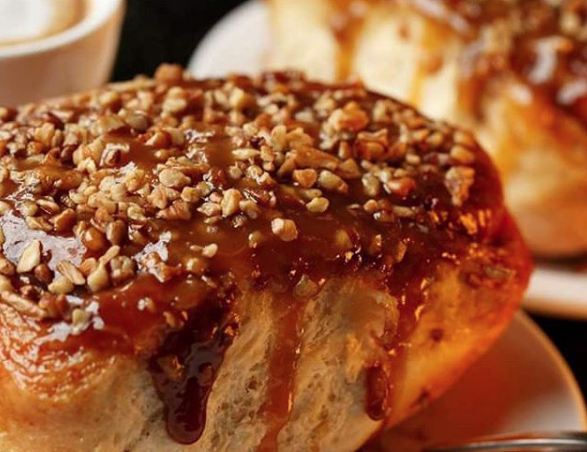 When it's baked and flipped, the result is a giant bun cascading with buttery caramel sauce and crunchy pecans. Fair warning, the bun is huge – enough for two or more – but we understand if you don't feel like sharing. Pro tip: Make a commitment and join the club – the Sticky Bun Club, that is. For every nine sticky buns you order you'll get the tenth free. Crossroads Diner promises that it's the "most delicious club you'll ever join!" Fall has arrived, and with it all of the traditional warm flavors we've been waiting for. The butternut squash tart, with spiced caramel and whipped cream, does not disappoint. Think pumpkin pie, but better. The mild butternut squash flavor lends itself well to a cool, creamy tart filling in a flaky, buttery crust. Topped with whipped cream, it is all that we want in an autumn dessert. Pro tip: Really go for it and order the tart with a side of gelato. Sprezza is an Italian restaurant, after all, and they churn out some of the most delicious gelato in the city. Flavors rotate daily, and we tried the tart with a side of vanilla bean, but we're thinking you can't go wrong here. Still have a sweet tooth? Search our list of restaurants in Dallas.